On the 20th August 1462, Feast of the renowned St. Bernard of Clairvaux, Spanish troops invaded, ending the Moorish era and thereby re-establishing the Catholic Faith in Gibraltar. In 1704, during the War of Spanish Succession, the British acquired Gibraltar. This was given international ratification within by the famed Treaty of Utrecht. Thenceforth, the Catholic Church in Gibraltar embarked on a new chapter. Below is a brief history of the salient moments of the developments experienced by the Catholic Church in Gibraltar to date. Don Juan Romero de Figueroa (†1720) witnessed the British advance and siege of Gibraltar, which resulted in the capitulation of the City. He was the Parish Priest of the main church, Santa Maria la Coronada y San Bernardo (nowadays the Cathedral Church of St. Mary the Crowned). He remained behind, even though almost the entire Spanish population fled to the nearby town of San Roque, refusing to accept the British takeover. The terms of Capitulation, gave special concessions to the Catholic Church, whereby the Protestant military authorities would fully respect the practice of the Catholic Faith. Shortly afterwards, in order to facilitate and stabilise ecclesiastical governance, the Bishop of Cádiz, under whose jurisdiction Gibraltar came, made Don Romero de Figueroa its first Vicar General. On 7th June 1720 Don Romero de Figueroa died. This marked a notable, deterioration of the unique relationship between the Bishop of Cádiz and the Governor of the Fortress of Gibraltar, mainly on the question of which jurisdiction was to have the last word over church matters, such as the appointment of future Parish Priests of the main church on the Rock. Eventually, Pope Pius VI, appointed Don Pedro Reymundo as Vicar General and also a Protonotary Apostolic, indicating the beginning of independence of the Fortress from the mother Diocese of Cádiz. The internal ecclesial situation was still not sufficiently stable and so Rome decided to appoint Rev. 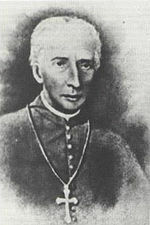 John Baptist Nosardy Zino (1816 – †1839), as Vicar Apostolic. The principal Secretary of State for the Colonies confirmed the appointment, thus opening a new phase of full independence for the Fortress from Cádiz. The immediate decades following the British arrival on the Rock also saw a dramatic increase in the civilian population and a development from merely providing to the Fortress’ needs, to becoming a distinct people with associated civil rights. Furthermore, during the vicariate of Rev. John Baptist Zino, the Fortress had grown from being essentially a military Garrison, to being acknowledged as a full Crown Colony in 1830 by Queen Anne, thus sealing the British commitment and interest in Gibraltar. The Church in Gibraltar saw a corresponding growth in her work to see to the pastoral and spiritual needs of the Colony. Therefore, at a time when the civilian population were seen in the context of the pressing military interests of the British Empire, the Church in Gibraltar provided most of the charitable, social and educational efforts. To this end a Junta of Elders was established to aid the management of these activities. Fr. Henry Hughes O.F.M. (1841 – †1856), a Franciscan religious from Ireland was appointed as Vicar Apostolic. From this time onwards, the Vicar Apostolic would also be a Bishop, acknowledging the increasing degree of stability of the local Church. The Junta of Elders had assumed to themselves certain powers of management which effectively challenged the authority of the new Bishop in such matters as the fees that were to be charged for those wishing to marry in the Church. The Bishop disagreed vehemently with the Junta, eventually ordering that couples should be married without charge, rather than suffer concubinage for want of financial means. A civil court action was brought against the Bishop, who refused to relinquish his ecclesial rights of full and free governance of the local Church. London, Rome and other parts of Europe were shocked when the Bishop was imprisoned for his stance. Tensions grew between the Catholics and the educational activities of the Methodists and Anglicans, since it was felt that these initiatives were causing a conflict of interests and giving rise to unfair proselytising opportunities. As a result, the Bishop gave top priority to securing an improvement in the scope and quality of the education given to all Catholic children by Catholic teachers and religious, so as to diminish the competition. Rev. 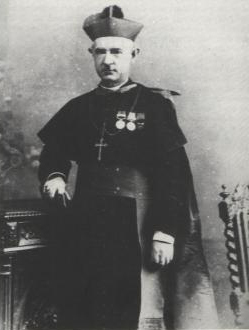 John Baptist Scandella (1857 – †1880), a Gibraltarian, succeeded Bishop Hughes as Vicar Apostolic of Gibraltar. During his vicariate, he consolidated the educational initiatives initiated by Bishop Hughes. In particular, he was untiringly instrumental in ensuring the establishment and long-term commitment of the Christian Brothers and the Loreto Nuns from Ireland and England. These two religious congregations were the effective foundation for the present-day education system in Gibraltar, until the Government’s involvement in education progressively grew towards an eventual take-over of the Church schools in the 1900’s. The Junta of Elders caused unprecedented troubles once again, but for the last time, albeit in a rather dramatic and colourful manner. Following the death of Bishop Scandella, the Junta was disgruntled that Rome had not appointed their nomination and felt instead unable to accept the Papal decision. 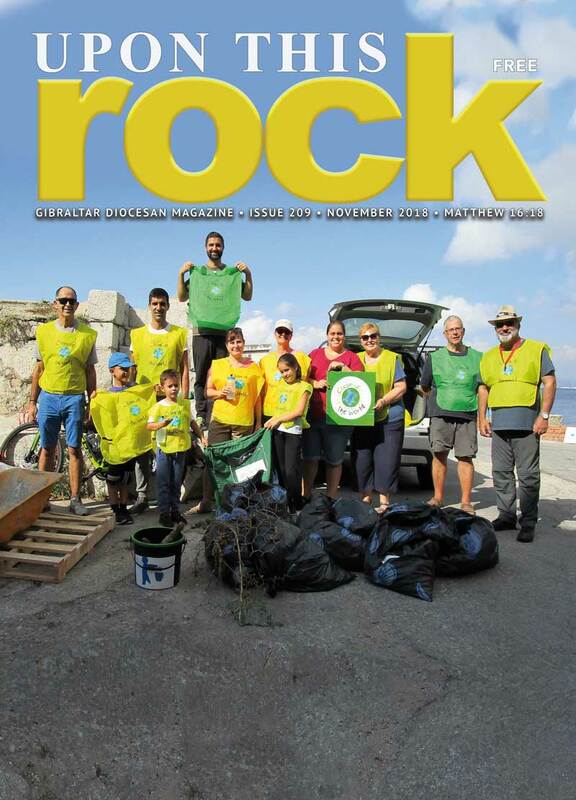 While the new Gibraltarian Vicar Apostolic, Rev. Gonzalo Canilla (1881 – †1898), was on his way from England, where he had been consecrated Bishop, a groundswell of opposition mainly from within the Catholic population had effectively organised itself to prevent him taking Office upon arrival. For several months there were some ugly and even occasionally violent scenes as the new Bishop was repeatedly denied access to the Vicariate. Eventually, after considerable diplomatic efforts both locally and in London, the military and police authorities intervened to make possible his official installation as Apostolic Vicar. After the turbulent inauguration, the young Bishop worked untiringly to develop the work of his predecessor, especially in the field of education. Following the untimely death of the saintly Bishop Canilla at the age of 52, Rev. James Bellord (1899 – resigned 1901), was appointed in his place. His vicariate was short-lived due to insurmountable troubles he experienced almost from the start, forcing him to retire after only two years on the Rock. A Benedictine, Rev. 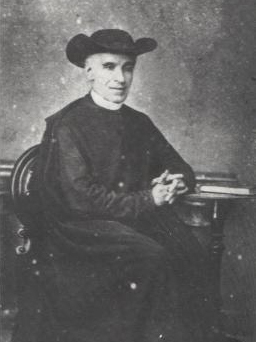 Guido Remigio Barbieri O.S.B. .(1903 – †1910), from Monte Cassino was appointed to the Vicariate. He proved to be a well-loved figure, even outside the Catholic community. In particular, he is remembered for his close friendship with the local Chief Rabbi and biblical scholar, Rev. Solomon Elmalech, and was sometimes seen sitting at the front bench of the Synagogue as his good friend addressed the congregation. Bishop Barbieri is celebrated as being responsible for having encouraged Rome to seriously consider raising the Vicariate to the dignity of a Diocese under Rome itself. On 10th November 1910, Pope St. Pius X promulgated the decree establishing the new Diocese of Gibraltar. He also appointed Rev. Gregory Thompson O.S.B. (1910 – †1927) a Benedictine monk from St. Augustine’s Monastery, Ramsgate, England, which was affiliated to the Monte Cassino branch of the Order. 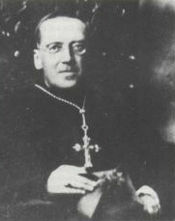 Unfortunately, a mixture of settling difficulties and Spanish language problems, caused the Bishop to resign, returning to his monastery in 1927. On October 1927, Rev. Richard J. Fitzgerald (1927 – †1956) became the new Bishop of Gibraltar. His has been the longest tenure of office thus far, spanning the difficult World War II years and especially the exceedingly troubled post-war repatriation period of the civilian population, which had been evacuated to London, Northern Ireland, Jamaica and Madeira. He died in 1956, at a time when the Spanish claim of Gibraltar was beginning to re-emerge under the dictatorship of General Francisco Franco. On 11th October 1956, Rev. 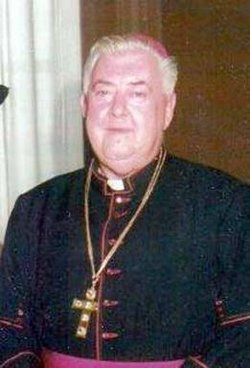 John Farmer Healy (1956 – †1973) succeeded Bishop Fitzgerald. His episcopate witnessed the closure of the land Frontier and all communications with the neighbouring hinterland, effectively a siege of Gibraltar by Spain in modern times. This was undoubtedly a crucial moment for Gibraltar, much as the War and the evacuation had been. In a Referendum held by Britain, the population overwhelmingly voted to remain British and refused any relinquishing of sovereignty to Spain. As a result, the British Government established a Constitution for Gibraltar by which limited self-rule was accorded in the form of internal government over defined domestic matters. Bishop Healy was deeply devastated when the new governmental system that was drawn up under the new Constitution effectively ensured the almost complete take-over of the entire education system out of the hands of the Church. Only the Church private school ran by the Loreto nuns remains to this day. On 7th October 1973, Mgr. Edward Rapallo (1973 – †1984) was consecrated on the Rock as the first Gibraltarian Bishop of Gibraltar. His episcopate saw the implementation of the changes brought about by the Second Vatican Ecumenical Council which heralded the reform of the Catholic Church to better address and reflect the challenges facing the modern-day world situation. In spite of the fact these were far from easy times for Gibraltar, both politically and economically, the good Bishop was outstanding in his efforts to invigorate the pastoral initiatives in the Church. He was responsible for introducing some very successful lay movements that gave a new sense of dynamism and purpose to the laity, and to this day still play an important part in the life of the Church. His motto Super Hanc Petram, “Upon this Rock” appropriately reflected that the Catholic Church in Gibraltar was by now firmly established as a Diocese. 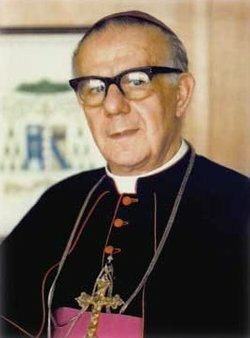 Bishop Rapallo died unexpectedly on the 5th February 1984. On 6th January 1985, Rome appointed Mgr. 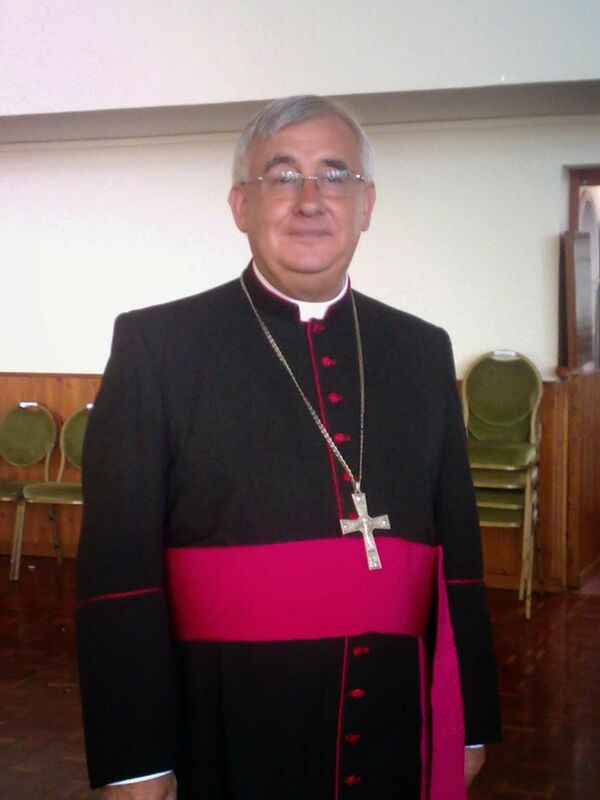 Bernard Patrick Devlin (1985 – retired 1998) as the new Bishop of Gibraltar. He had arrived on the Rock from Ireland shortly after the Second World War and had made this his home, working as a priest and eventually becoming the Vicar General during Bishop Rapallo’s episcopate. Pope John Paul II consecrated him in Rome on the Feast of the Epiphany. His episcopate is notable for having ordained the largest number of priests for the Diocese and for having continued to consolidate the good work of his renowned predecessor. In addition, during his time as Bishop, Sr. Jennifer Gomila became the first Gibraltarian woman to join the enclosed Order of Discalced Carmelites at Ronda, Spain. Under the current Code of Canon Law, every bishop of the Catholic Church must tender in his request for retirement upon reaching 75. Pope John Paul II accepted his retirement, thereby becoming the first Bishop Emeritus of Gibraltar to reside on the Rock. On 24th May 1998, Mgr. 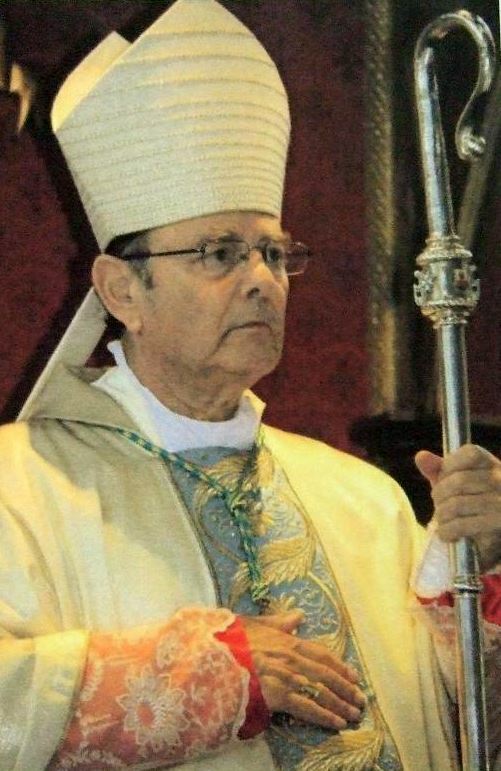 Charles Caruana (1998 – retired 2010), who had been appointed by Pope John Paul II, was consecrated by the late Cardinal George Basil Hume OSB in a ceremony in Gibraltar held in an RAF hangar adapted for the occasion and attended by thousands of Gibraltarians from all sectors of society. He is the second Gibraltarian to have been appointed as Bishop of Gibraltar. The motto he chose, well encapsulates his desire to continue as the Priest he always was, tirelessly working for this flock, utterly committed to this Diocese: Sapientia et Amor Dei, Wisdom and the love of God. He retired in 2010. Sadly, a fall brought about his untimely demise on 1st October, only almost 3 months after his successor took over. On 18th March 2010 Pope Benedict XVI appointed Fr. Ralph Heskett, C.Ss.R. (2010 – translated 2014). His consecration to the Episcopate took place on 10 July 2010. The principal consecrator was the Most Reverend Michael George Bowen, Archbishop Emeritus of Southwark; with the Right Reverend Charles Caruana, Bishop Emeritus of Gibraltar, and the Right Reverend Thomas Matthew Burns, Bishop of Menevia, serving as co-consecrators. It is interesting that Bishop Heskett would be the first religious bishop in 100 years, precisely at the time the Diocese was celebrating its first Centenary. Sadly, and as it happens, for the first time in Gibraltar, the new Bishop not only buried his predecessor, but just two months later, Bishop Devlin, on the 15th December. Prior to his burial at the Cathedral crypt, his mortal remains were taken to St. Theresa’s Church, which was so close to his heart, having raised it originally as a chapel out simple nissen huts, to attend to the increasing needs of the faithful in that area. He had ministered there as its first Parish Priest until he became bishop. Bishop Heskett embarked on a programme of diocesan renewal, but unfortunately for us, he was unable to see it through. He was translated by Pope Francis to the See of Hallam, England, on 20th May 2014 and installed there on 10th July 2014, the fourth anniversary of his Episcopal Ordination. On the 24th June 2016, Mgr. Carmel Zammit (2016 – ) from the Archdiocese of Malta, was appointed by Pope Francis to succeed Bishop Heskett. He was consecrated Bishop on 8th September 2016 by Vincent Cardinal Nichols, the Archbishop of Westminster, London, at St. Paul’s Cathedral, Mdina, the ancient capital of Malta. Archbishop Charles Scicluna of Malta and Bishop Ralph Heskett of Gibraltar acted as co-consecrators. He was subsequently Installed as Bishop of Gibraltar on 24th September 2016 at his Cathedral See.